JQ covers every kind of computing hardware and software, ranging from printers to PCs. In this section, you'll find original articles, as well as pieces previously published in PC Magazine , Computer Shopper Magazine , and Home Office Computing . When it comes to his financial records, Stan Waller, a 73-year-old retiree in Wilmette, Illinois, says he always backs up his computer files. Making back up copies of computer files is something most of us regard with the same amount of enthusiasm we reserve for visiting the dentist or cleaning out the attic: We know we’re supposed to do it, but it’s no fun at all. Nevertheless, making copies of valuable digital files is essential if you want to make sure you don’t lose all those digital keepsakes like photos, music tracks, video clips and even personal correspondence. 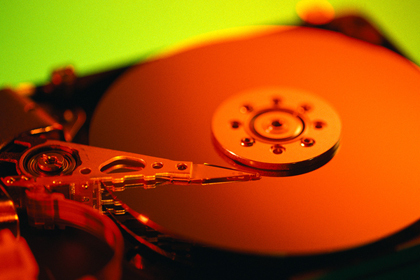 Remember: one hard drive failure or computer crash could wipe out years of digital memories. Sure, you can copy files one at time and burn a CD of them all, but it’s a painfully tedious process and one you’re unlikely to repeat on a regular basis. The best way to make backups is to use a dedicated software program or special hardware that will help you organize and synchronize files. Some programs will even make backups for you automatically. * Software Programs: To protect your entire computer system a full backup is worthwhile. Symantec’s $70 Norton Ghost is the best program for making a complete copy or “mirror” of your computer’s hard drive. Ghost will also make automatic, scheduled backups. However, if you’re only worried about preserving personal files, you can use other programs to select and regularly backup files to a CD, DVD, or external hard drive. Two such programs that will also perform incremental backups (meaning they will only make copies of files that have changed since your last backup) are Uniblue’s $50 WinBackup and Nero BackItUp, which is part of the $100 Nero 7 Ultra Edition CD/DVD suite. * External Hard Drives: Plugging an extra hard drive into a computer’s USB or FireWire port is the quickest and easiest way to backup a computer system. One of the most popular models is Maxtor’s $300 OneTouch II. With 320 gigabytes (GB) of storage, it can copy the entire contents of most computer hard drives, and you can initiate a backup by literally pressing a single button. The OneTouch II can also perform scheduled incremental backups and works with Windows and Mac computers. * Go For DVD: Many of us now have thousands of photos and music tracks stored on our computers. The most cost effective way to make backups of these valuables is to use a DVD burner that can copy files to recordable DVDs. If your system doesn’t have a burner, an excellent external option is Sony’s $250 DVDirect. It can copy up to 8.5 GB of files onto a single, dual-layer DVD, and it comes with excellent software that will let you do things like create a slideshow of photos so that you can bore, er, entertain your friends by displaying your vacation pics on a TV. You can even backup home videos quickly without a computer by simply plugging a digital camcorder into the box and burning a DVD directly. * Online Services: If you travel a lot and want a convenient way to backup your files, a handy option is to subscribe to an online service that will let you upload files to their computers for storage. Then should something untoward happen to your laptop, you can still access all your files from any Internet connected computer. iBackup is one service that charges $9.95 a month for 5 GB of storage. Of course, as an additional safeguard paranoid home computer users can also subscribe to the service, but it’s more economical to burn your own backup discs. The days of storing the family photos in a shoebox are clearly long gone. But don’t think that just because you’ve got a neatly organized set of pics on your computer that they’re safe for posterity. Computers are fallible, so make this your mantra: Backup, backup, backup. - Keep all your important files in one place on your computer. Many photo and music programs create their own directories and then squirrel away photos in hard-to-find locations. So to make the process of backing up these files easier, make your own separate directory for storing your digital treasures. - Many backup programs promise to cram more pictures and files onto a disc by digitally compressing the files. However, most photos and music files are already compressed, and more important, when it comes to recovering compressed backup files, you usually have to use the same program to restore the files. To avoid this headache and make sure you can recover your family photos on any computer, only make full, uncompressed copies. - After you make a backup, make sure that what you copied matches the original by checking the copies. Most programs call this verification, and the extra time it takes is well worth it. - Preserving your digital family heirlooms on discs sitting next to your computer won’t do you much good if a burglar steals everything in your home office or—heaven forbid—your equipment is all destroyed in a fire. So after you make copies, store them in a location separate from your home computer, such as in your desk at work, at a vacation home, or even at a friend’s house.